Soft hands, no mustache, can’t lose. It’s officially over now. Sue Simmons signed off NBC 4 New York nightly news for the final time last Friday night, and there wasn’t a dry eye in the studio (or on our face). However, the night was not without some touching tributes from local personalities who love Sue just as much as we do, including some former and current New York Mets. It certainly says something about Sue that she inspires such adulation in the people who we ourselves revere. She’s bigger than New York sports, bigger than Jimmy Fallon, and, now, bigger than NBC News. Here’s hoping we see her again real soon (please, please take up Terry Collin’s offer). We weren’t even three years-old when the Mets won the World Series in 1986, but that team has come to define our life. We don’t remember much, if anything, from that time, but we watched and rewatched and wore out 1986: A Year to Remember, the VHS yearbook of that magical season, and even if those memories weren’t burned onto our cerebral cortex in that October, we don’t recall a time when we didn’t know that team, when Mex, Doc, Darryl, Nails and Kid weren’t our heroes. The only other similar experience for us was the 1994 Rangers, and while we continue to revere that team – especially captain and messiah Mark Messier – their impact on us is not as great as the ’86 Mets. In ’94 we were old enough to choose the Rangers, but the ’86 Mets essentially chose us. For better or worse. That would be the team against which we would measure every other team against for the rest of our lives. And we know that, no matter what, because of that team’s success, and promise, and its ultimate shortcomings, no team will ever match it in our hearts and minds. 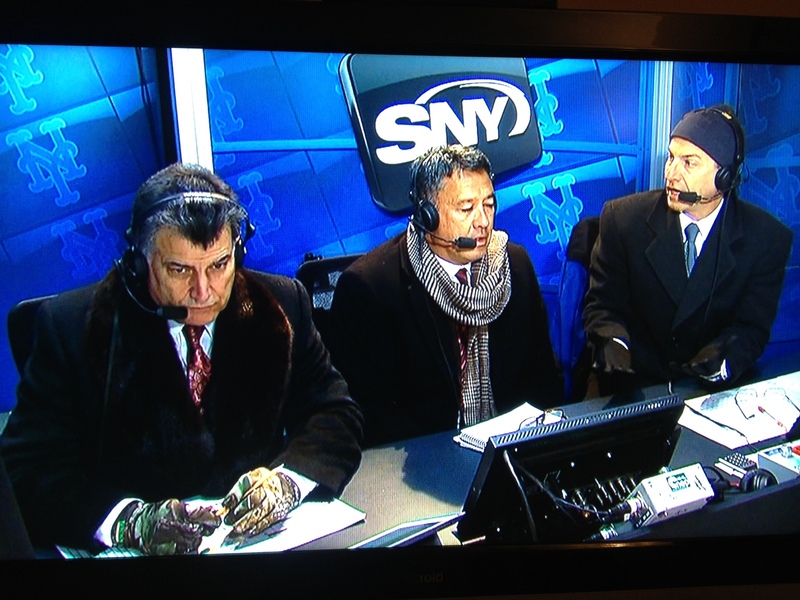 Despite the fact that we’re not left-handed and don’t play first base, we gravitated towards Keith Hernandez. He was our guy. It was the intangibles, the way he approached the game with a a cerebral approach, the way he made the players around him better, the way he was a leader and a champion. But we also knew, as A Year to Remember made clear, that Keith wasn’t alone in leading that team. 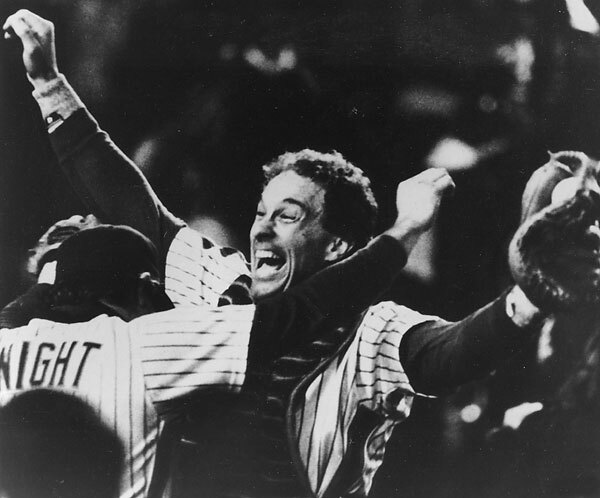 Gary Carter, he of the wide, indefatigable smile, the king the curtain call, shared that role with Keith. If Mex was the brains of that team, Kid was the heart. Keith was the field general, Gary was their spiritual guide. They made each other better, and together they willed that team to win. And in doing so left an indelible mark on so many of us. They were the rock. That was the first time we ever heard the world “effervescent” and we’ve associated it with Gary Carter ever since. 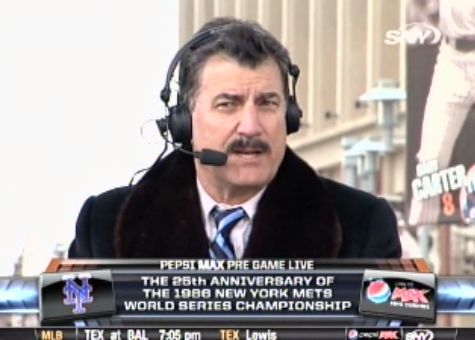 The ‘stache launched a thousand ships.